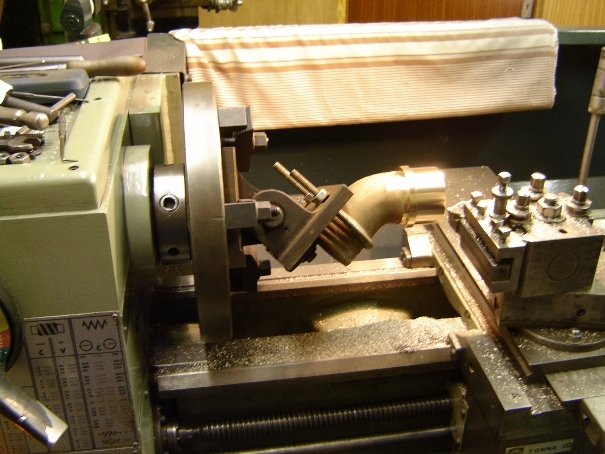 Machining one of the engine/tender water connections. 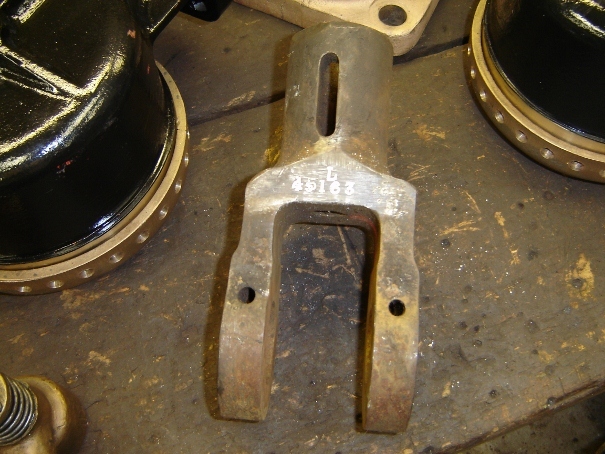 A brand new snifting valve and behind it an original clack valve recently acquired. engine are still coming to light. 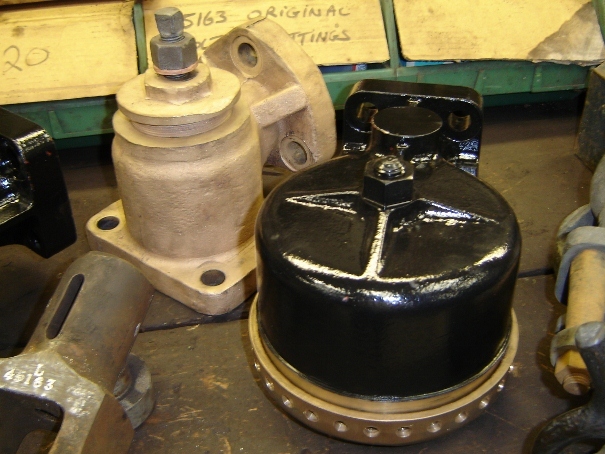 It would ne nice to think that some other parts might yet turn up. 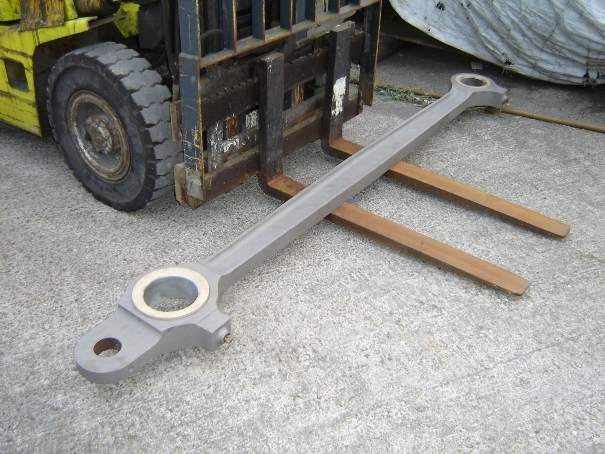 One of the fluted coupling rods after shotblasting, just got to get busy polishing it now. 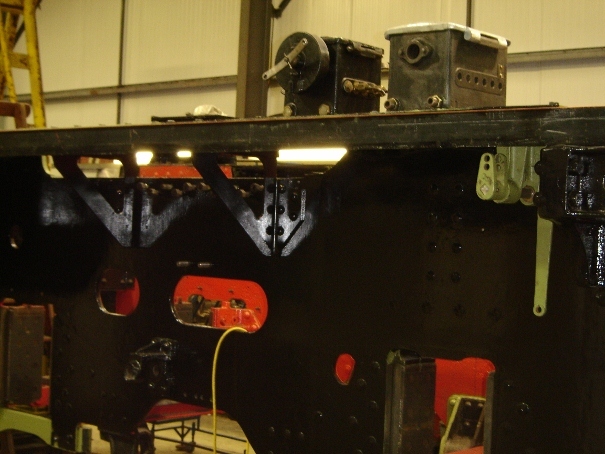 All new sections of running plate trial fitted on the Driver's side. 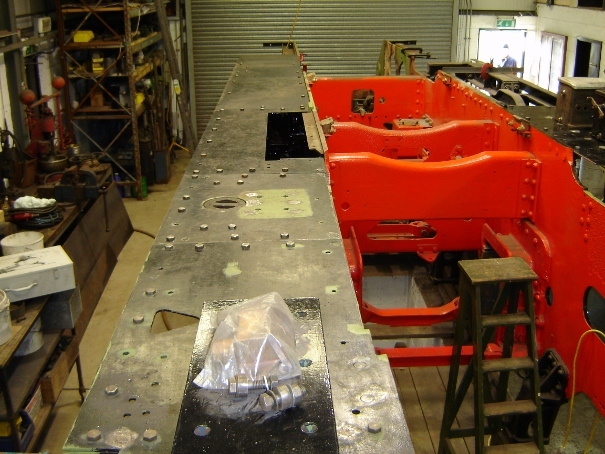 The new running plate support brackets can be seen here along with the rear sandbox trial fitted. 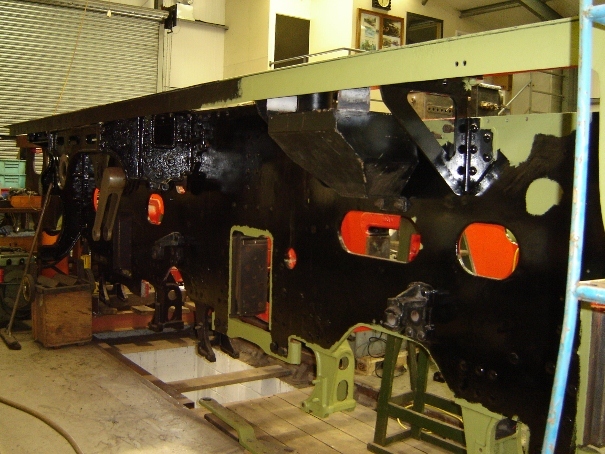 The Fireman's side new running plate support brackets and mechanical lubricator drive trial fitted. 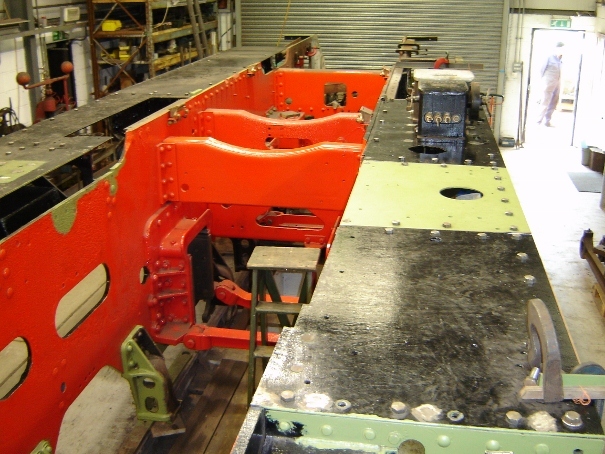 On the Fireman's side running plates the two mechanical lubricators are trial fitted. 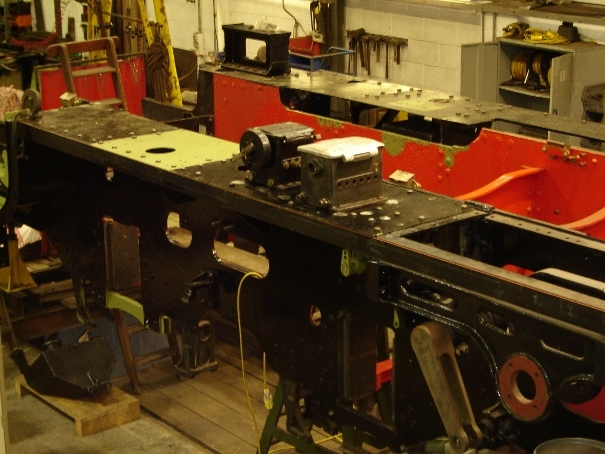 All new sections of running plate trial fitted on the Fireman's side. 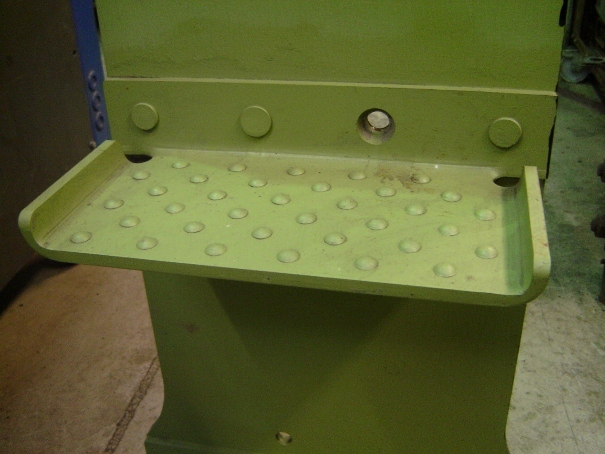 A front step now with the tread created with rivets and the treadplate now rivetted to the back plate..